Every aspect of business is connected through communication systems. An essential skill for communication in the business world is listening, and though we do it every day, we may not excel at it. Listening is critical for building working relationships among employees and management, and it’s fundamental in a company’s interaction with its customers. Communication in the workplace relies heavily on the spoken word, and how individuals listen impacts the communication’s effectiveness. Through effective listening, fewer errors — especially those involving numbers, dates, places and times — can be made in the workplace, which can result in less waste of time and money. In meetings, listening is crucial; it facilitates the exchange of important ideas and helps keep the discussion on-topic. Understanding the various stages of listening can help you become a better listener and excel in your business communications. The first stage in the process of listening is receiving the speaker’s message, which involves isolating the message from all other sounds and interpreting what’s been said. Attending to the message is perhaps the most important part of the receiving stage because sounds have no meaning to them until they’re given context. During this stage, try to avoid thinking about other things while the speaker is talking to ensure no information is missed. In the case of internal business communication, a manager practicing effective listening skills will hear all of an employee’s concerns and will be able to take appropriate action to solve an issue immediately. In external business communication, a salesperson will be able to understand all their client’s concerns or desires regarding a project, such as the anticipated budget. During the understanding stage of listening, we attempt to comprehend the message’s meaning. It’s during this stage that incorrect meaning can be applied to a message. Asking questions to fill any information gaps is the best way to better understand a message. To ensure information is understood correctly in the workplace, repeat any instructions or messages to the speaker. Through the evaluating stage of listening, information is qualitatively and quantitatively assessed before a response is formed. To effectively evaluate the message, there should be no additional ambiguities or time spent sorting out insignificant points. According to Lumen Learning, this is the stage in which you determine if the information from the speaker is well constructed or disorganized, biased or unbiased, and valid. Try to determine if the speaker’s supporting points are valid, and then mentally review and summarize what’s been said. The responding, or feedback, stage is when the listener indicates their involvement in the conversation through either verbal or non-verbal cues. This stage is based on both short- and long-term memories, and it creates action in what would otherwise be a passive procedure. During this stage, the listener may ask questions, nod, take notes, give applause or simply sit in silence. The key is to give the speaker regular feedback to display interest. If the listener is unable to remember what the speaker was saying, chances are they were not effectively listening. 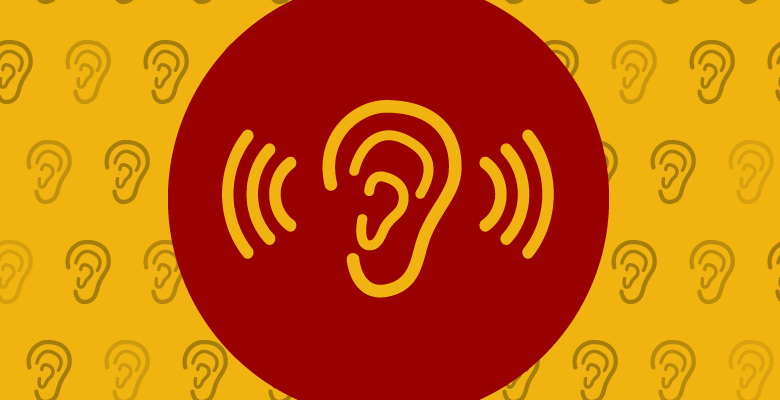 While complex messages that contain many details require developed listening skills, some messages can be misinterpreted because of a small distraction, in which the listener misses out on information before they focus on listening again. Remembering all the pieces of information is crucial to moving forward in the conversation and with any future actions. According to Harvard Business Review, we tend to forget up to half of what we’ve heard within the first eight hours of listening to it. Some of the ways to improve memory is to use the information gained immediately, or to relate the information to what was learned in previous conversations for a wider context. Grasping onto the whole idea of the conversation rather than just the facts will also improve memory. Alvernia University offers an online Bachelor of Arts in Communication. Balance education and a busy life through Alvernia University’s flexible online programs. Develop skills needed to succeed as a professional and learn from knowledgeable faculty in small class sizes.